Climbing Buachaille Etive Beag, one of Scotland's Munros. Since the publication of his results in 1891, the term “Munro” has been used to describe Scotland’s mountains more than 3,000ft high. To mark the centenary of Munro’s death, The Munro Society is celebrating the revered mountaineer’s life and legacy with an exhibition – The Munro Legacy – at Perth’s AK Bell Library. Munro was born in London in 1856, the eldest of nine children in a family which spent much of the year at their Lindertis estate near Kirriemuir. It was his upbringing in and around the wee red town, in the shadow of the Angus Glens, which inspired his quest to chart Scotland’s mountains. Criteria for inclusion on the list and the exact number – the commonly held view is there are 282 – has kept the minds and legs of hillwalkers exercised for the many decades since. Despite giving his name to this group of mountains, Munro never managed to “bag” them all. He died at the age of 63 with two Munros left to climb. 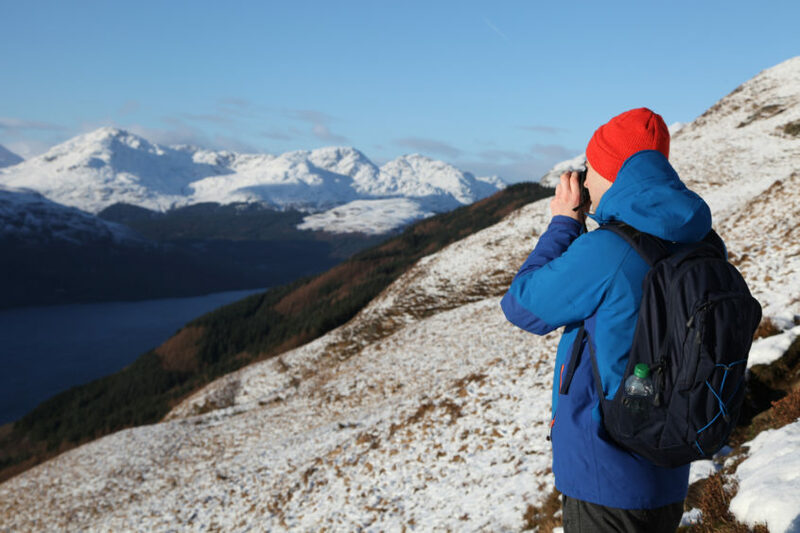 Through an exhibition of photography, artfects of old equipment, clothing and archives, The Munro Society will present the fascinating story of Munro through to the birth of Scotland’s mountains as a source of recreation. From the early pioneers and first “completers” to modern day milestones, the exhibition charts the men and women who have found adventure, friendship and personal triumph at 3,000ft. The display will also explore the impact that man has had on these mountains over the years and the changes that have further shaped our landscape and the way we view it. 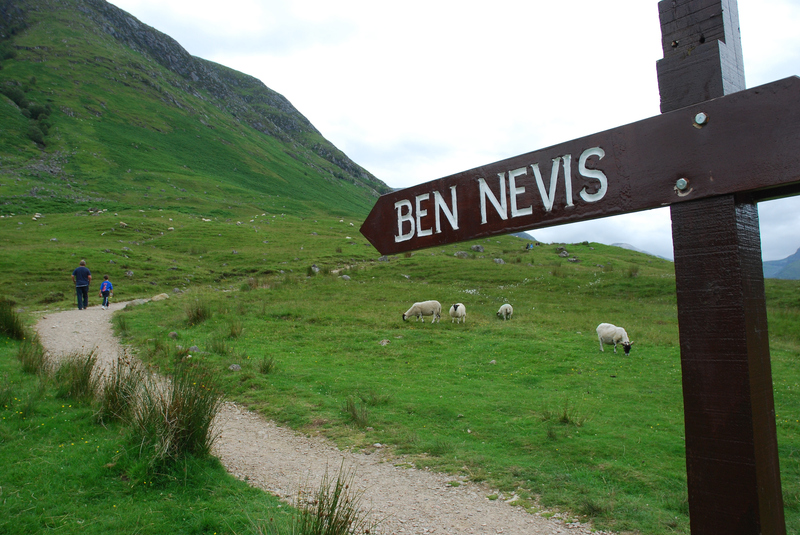 The path and sign at the foot of Ben Nevis. Anne Butler, acting president of The Munro Society, said: “Munro is revered by many hillwalkers as the man who compiled a list which has given them structure and direction to their hill walking. For many, this is a lifetime project. 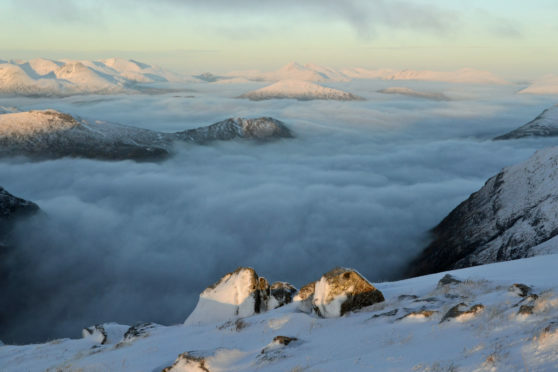 “Many people are aware of Munros but unaware of the history or the man behind the list. “The exhibition shows how hillwalking was once the preserve of the privileged classes and how over time it has become an interest that all people, whatever their backgrounds, can enjoy. The exhibition was conceived of by David Batty who was president of The Munro Society at the time. David died unexpectedly last November. Following its run at Perth’s AK Bell Library from March 5 to May 18, the exhibition will be on display at various other locations in Scotland.